South Africa is considered a heaven when it comes to adventures, especially on 2-wheels and this country has some of the most outstanding cycle tracks in the World. The range of routes available in South Africa are varied enough to suit all types of cyclist, beginner to expert and the tracks themselves weave through some of the most outstanding landscapes that you are going to find. Another huge plus when it comes to cycling through South Africa is the weather, a warm climate throughout and bright evenings really lend themselves to long cycling adventures and if you are heading to South Africa then you need to get on a bike and explore this wonderful country. From our own experience and recommendations from others, here are our 5 best South African bike trails. For intermediates and above this medium difficulty, 12km track take you through the heart of the forests around the Giba region. The tracks are brilliantly well maintained and feature bridges, rock climbs, drop-offs and plenty of tight bends and switch-backs. At times hair-rasing, this track features some beautiful vistas and steady climbs up to some wonderful ridges. This is a combination of around 120km of single track trails that sweep through the Durbanville trails of Cape Town. Several tracks available here for all types of abilities from the Majik Forest trail for all abilities to the tough and rugged Contermanskloof incline. The tracks are owned by a private MTB club but day passes are very easy to pick up and cheap to buy. Described by Jacques Marais as a ‘a piece of mountain-biking nirvana,’ the tracks in the Gariep Nature Reserve, near the town of Venterstad, cover 150km of jeep tracks and gravel trails where you and your bike will witness some steady climbs, sharp descents, tricky tight areas and sprawling passes where you can hit top speed. This is game viewing territory and sighting a herd of a zebras from the one of the peaks isn’t something you should be surprised about. 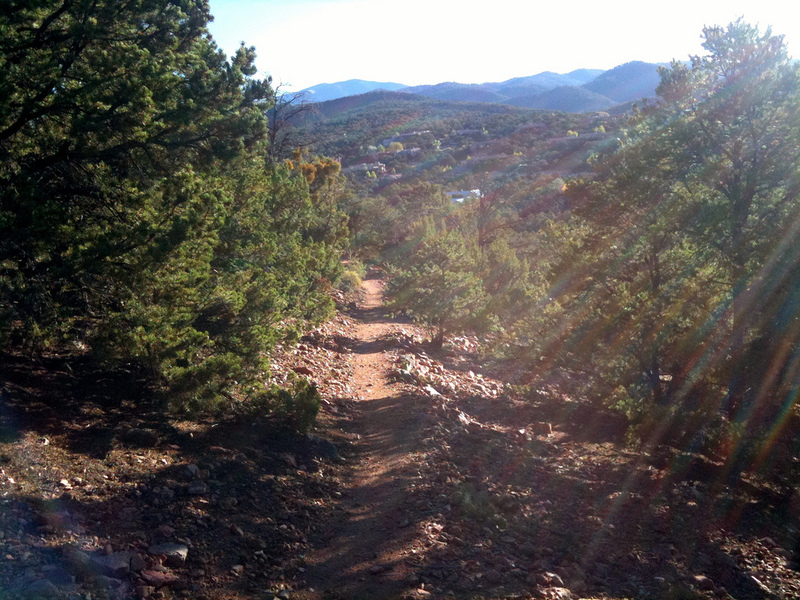 Beautiful and well maintained trails and well worth the price of entry. This city trail lies in a 450 hectare nature reserve to the south of Johannesburg, trails are color coded into yellow, green, blue and black. Yellow trails are for everyone, green is for intermediates, blue is ‘ride at your own risk’ and black is for the newly opened 30km downhill track, experts only here. These trails have featured in some of South Africa’s national race championships and are well worth a visit. Arguably the best single MTB track in the whole of South Africa, over 75% of the entire trail is single track. This trail is for only proficient cyclists who are prepared for some extreme drop-offs, sharp descents, brutal climbs and long meandering trails of up to 70km which must be performed in the searing summer heat. Hard-core cyclists only here and whilst the trails are tough, the fun is endless.